Make a purrrfect playtime for your feline with the Wooly Wonkz Under The Sea Cat Toy - Starfish! 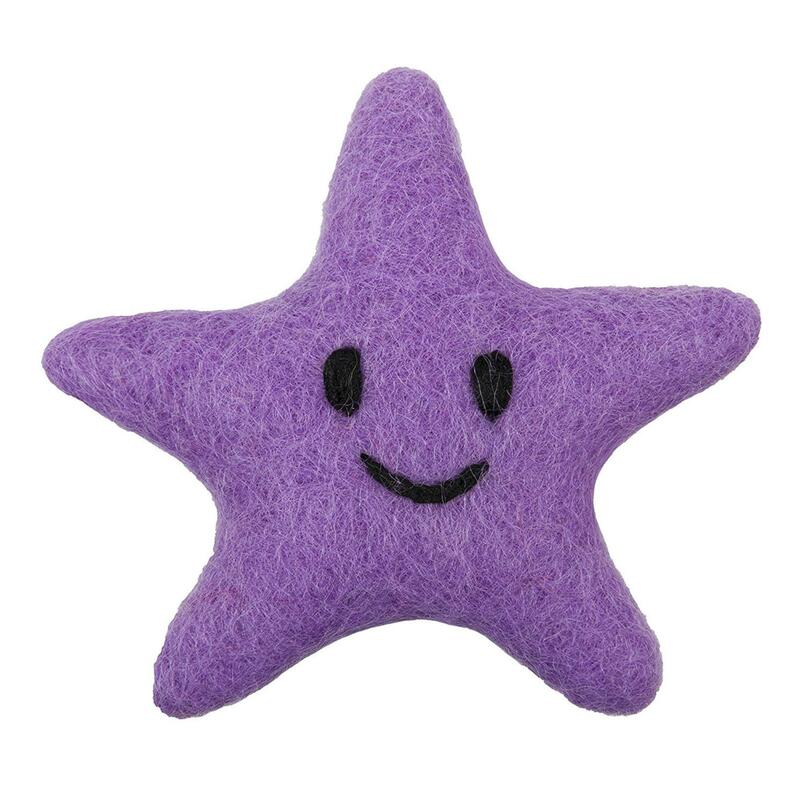 The Wooly Wonkz Under The Sea Cat Toy - Starfish is great for your pouncing cat or small dog. Soft and clawable texture cats crave will make playtime fun and safe. Its lovingly handmade wool makes colors and sizes vary slightly, making each toy uniquely special. Made of 100% New Zealand wool. Crinkly film interior will keep play going. Check out other colored fish and Wooly Wonkz Toys. Machine wash cold, delicate cycle. Air dry, do not iron, bleach, or dry clean. A few of the items I wanted were sold out, a bit of a disappointment. However, an option existed wherein I could place the order with a 10% discount when the item became available again. Good customer service!